The following acts as a tutorial and a reference checklist for preparing your build for release and packaging for deployment. It covers preparing and inserting an icon for your executable, a checklist of things for your config files, and finally to create a setup.exe. Copy your bin and data folders to a new location. Remove any files that aren't needed. Remove orxd.dll and orxp.dll. Only orx.dll is needed for release. 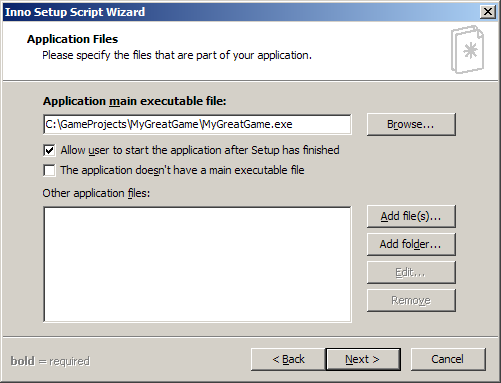 Test your game .exe and ensure it works correctly with the folder structure changes. First, create your own icon for your program, using something like Gimp. Gimp can also write out the .ico file format. e) Compile, then check your executable file in file explorer. Your .exe should have an icon. 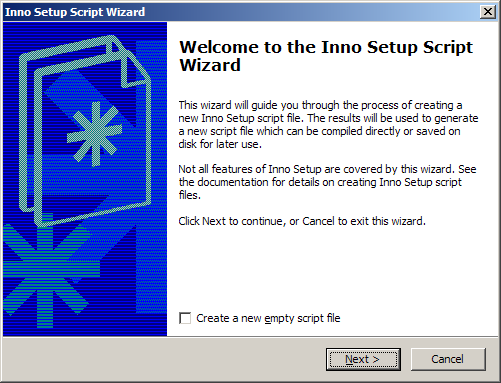 Download the Inno Setup Compiler http://innosetup.com. 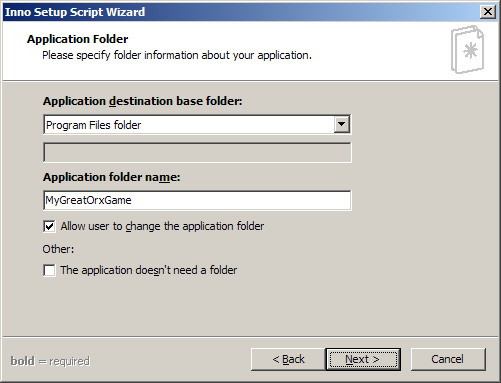 Click “Add Folder”, and select the base folder of your game (bin and data are the subfolders). Say yes that files in the subfolders should be included. Choose options for the user, ie, the start folder name, uninstall icon, quick launch icon, information files to show to the user, etc etc. 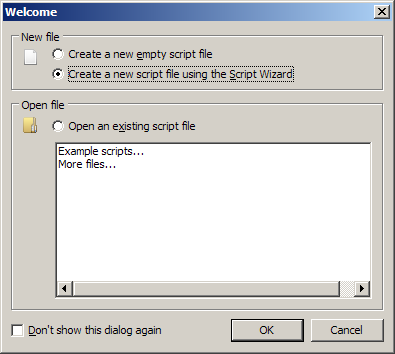 You can then nominate an installation icon for the setup.exe to use. Save the .iss script for later editing if need be. 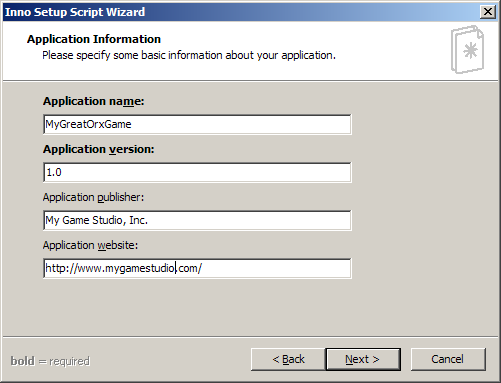 Select Build/Compile to create your Setup.exe to give out to the world. Orx on Windows depends on libgcc and libstdc++ being compiled in statically, which it is. Your project needs to have these two libraries compiled in statically too, in order avoid the user being prompted when running your application. These libraries are supplied as part of the Microsoft Visual C++ Redistributable. Any project you create using init should already be set up to compile in these libraries statically. If your project isn't, you can add the following to your linker options: -static;-static-libgcc -static-libstdc++. 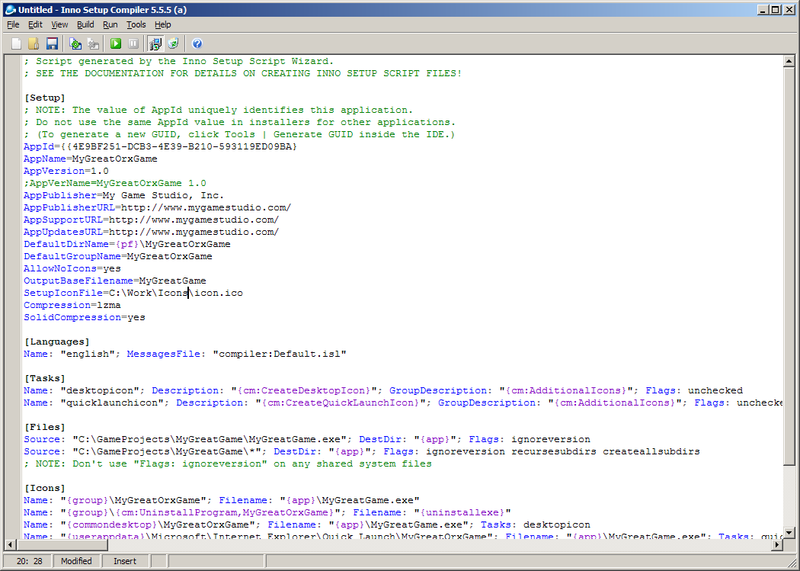 This step should not be necessary for Visual Studio users.